The Megalodon or "Big Tooth" is a prehistoric shark that lived a few million years ago and it was known as one of the most ferocious and dangerous water creatures. Its name was given in 1843 by Jean Louis Agassiz, a Swiss geologist, glaciologist and paleontologist, but also a very important innovator in the study of Earth's natural history. Jean Louis was born on May 28th, 1807 and died on December 14th, 1873 (age 66). During his life, which he spent in Switzerland, he became a teacher of natural history at the Neuchatel University. Later he was given a professorship at Harvard University in the U.S.A. that he gladly accepted. Jean Louis was a well known paleontologist amongst other professions and he was really fascinated by the Megalodon. This mega shark had a carnivorous diet and lived all around the world with a size estimated to be between fifteen and seventeen meters long. Due to its mention on the Discovery Channel's Shark Week, many people search a further understanding of this controversial shark that some argue could even be a myth. The most common remains of the shark that have been uncovered are by far his teeth with the largest of them approaching eighteen centimeters in height. Even though the time people have been collecting these teeth is unknown, it's until 1667 that science recognized them as being the teeth of the Megalodon. Up until that time, people who found them thought they were petrified dragon tongues. 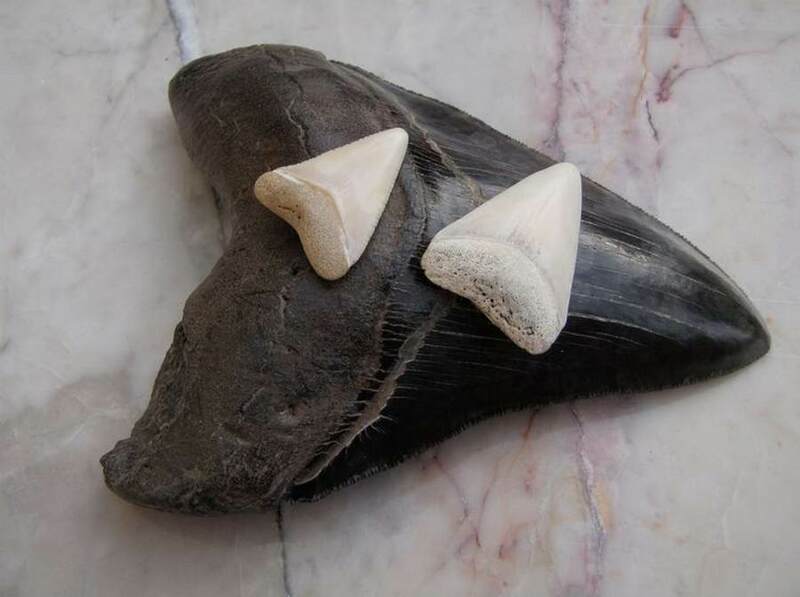 The teeth of the Megalodon are often compared to those of the great white shark and that is due to the similarities both have in terms of being serrated and triangular. 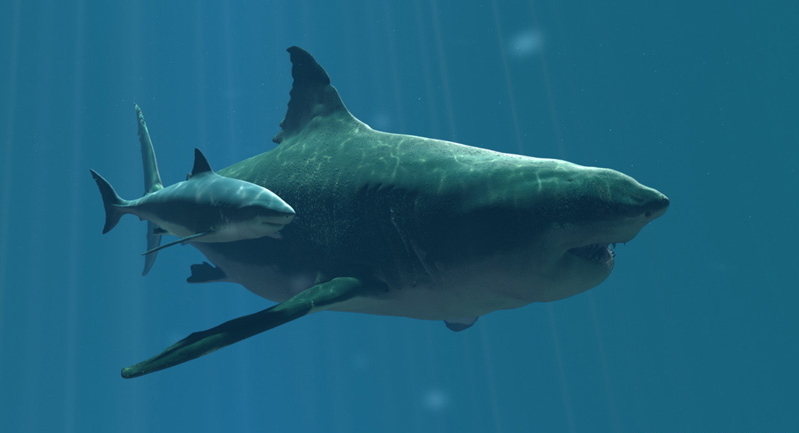 Experts believe that the Megalodon had the very same biting style as our modern version; the great white shark. This means that the Megalodon would bite its prey by the side and they shake their head right and left for the serrations of its teeth to saw through the flesh of its victim. 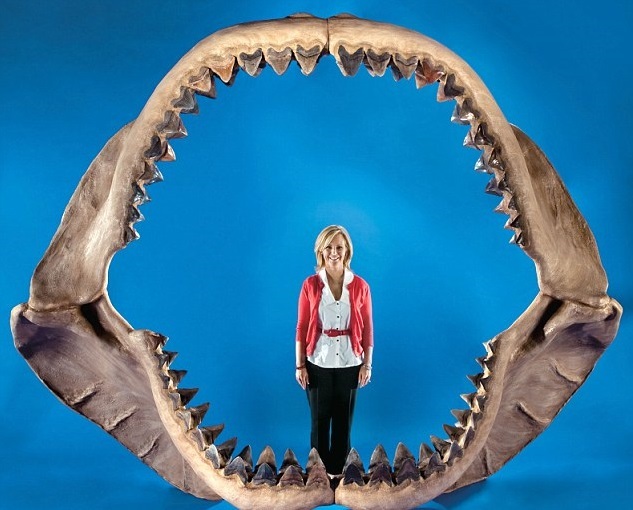 After the teeth of the Megalodon were deemed to pertain to a shark, many people started to get curious about its size. The sad part is that we cannot know precisely, because we could not catch any live specimens to measure them in comparison. So instead, ichthyologists and paleontologists tried to estimate the shark's size by analyzing its teeth. Using a method developed in 1973 by John E. Randall, involving the measurement of the tooth's enamel height, paleontologists reached to the conclusion that the Megalodon had a size of 13 meters. A different method was used 23 years later developed by S. Curtis Bowman, Leonard J. V. Compagno and Michael D. Gottfried which worked by establishing a correlation between the length of the shark and the tooth's slant height. Based on this estimate, the shark had an approximate size of 15.9 meters. The way the Megalodon looked would probably be similar to the way many of the lamniform sharks swimming in our oceans today. However, given its inherent power and large size it was maybe a bit stocky compared to the sharks nowadays. On top of that, its cartilaginous skeleton may have been a bit more robust so that it would be able to deal with the more powerful prey items and of course, the greater stresses of larger muscles. 2 Extinction: Why did the Megalodon Disappear? The Megalodon disappeared from the fossil record near the end of the Gelasian or the first stage of the Pleistocene era 1.8 million years ago. This is supported by the steady decline in the number of fossils until they have completely disappeared. Even though experts have a few theories regarding the shark's extinction, it seems that the culprits involved a sequence of changing events. Global cooling seems to have been the trigger for the shark's extinction and if the Megalodon had a warm blooded metabolism it would require a higher calorie intake. 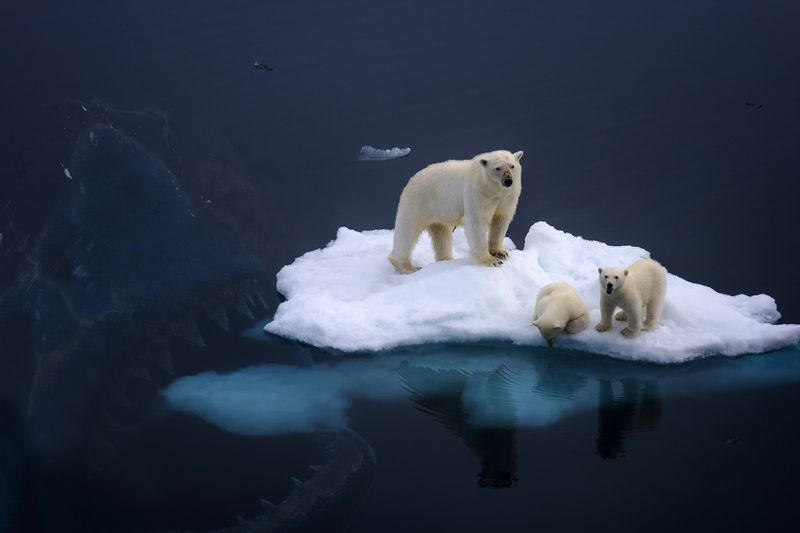 If the water was colder, then the difference would also be bigger, which means that the shark required a higher calorie intake to cope with the colder water. There are of course some people who believe that the Megalodon indeed survived and that he could be seen swimming in the oceans in the Holocene era. To fuel this belief, a tooth of almost 4.8 inches was discovered by the HMS Challenger's crew in 1872 which was thought to be just 10 000 years old when it was tested in 1959. Compared to the tooth size of other sharks like the great white for instance, the (i.e. 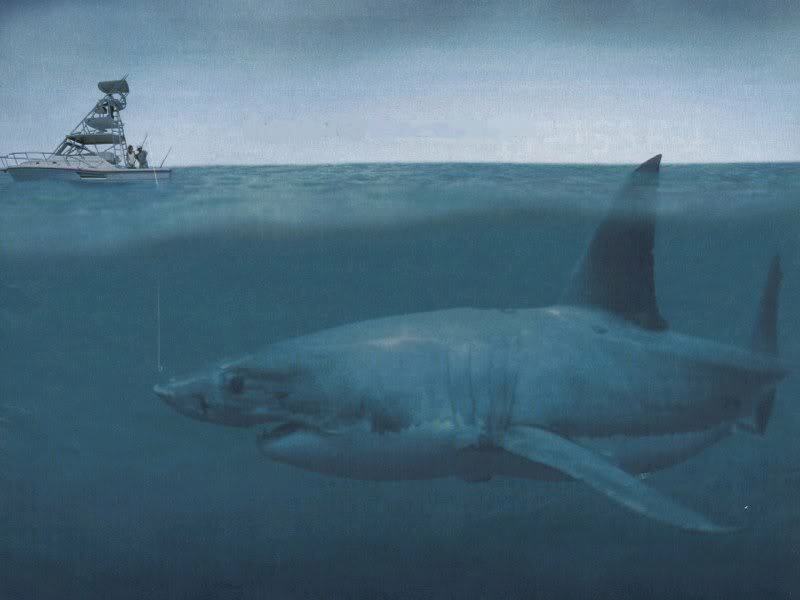 great white) which has teeth of around 1 inch or a bit over that, you can clearly see that the Megalodon has teeth that are more than four times bigger in size. The Holocene era is part of the Quaternary period and it began at the end of the Pleistocene and still continues until today. Morphologically, the name comes from the Greek word "halos", which translates to "entire" or "whole", meaning "entirely recent". The fact is that the test back then only tested the tooth's manganese dioxide levels, which nowadays is considered a flawed method. Later on, the tooth underwent a radio carbon dating test, which discovered that it had a very low nitrogen level to be accepted for testing. The tooth was considered un-testable and because of that, the early estimates of the Megalodon's extinction in the early Pleistocene era are still valid today. This era is the first epoch of the Quaternary Period and its end corresponds with the end of the Paleolithic age that's used in archaeology. In the International Classification for Standards scale, the Pleistocene is divided into four stages, including the Tarantian, Ionian, Calabrian and Gelasian and they were all defined in Europe.